Very Very Vicky: Making A Joyful Noise! Just a little something to lift your spirits and refocus your thoughts on the reason for the season... 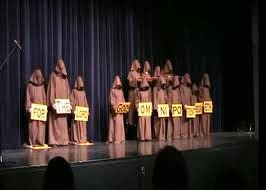 These monks who have taken a vow of silence still manage to have a choir and to express the good news that is in their hearts! Take a moment to watch their performance of The Hallelujah Chorus. It will make you smile. My favorite part is the big "hallelujah" at the end! Have time for one more Christmas tune? 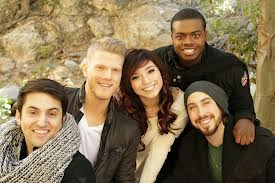 This is an a capella rendition of "The Little Drummer Boy" performed by Pentatonix.